Sigma Stretch Film, one of the largest stretch film producers in North America, has ordered a new production line from Austria-based SML. The line, due to be delivered in the first half of 2016, will be installed in Sigma’s Riverside, California plant, where a new 112,000sqft warehouse is built to accommodate future growth. Sigma’s new cast stretch machine will typically be used to run nine 20″ wide rolls at a time. 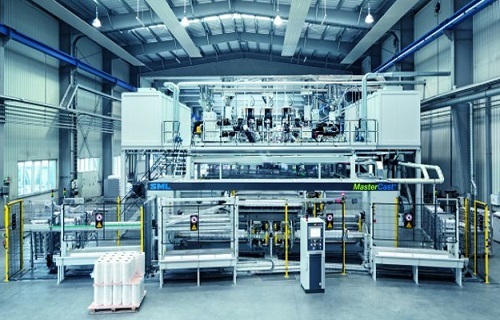 The line will have a nine-layer feedblock which will allow production of high performance films.